Are you sweating bullets correcting too many erroneous transcriptions? Do you feel dissatisfied with the performance of undertrained staff? You could be losing time and money that could be better spent on other critical functions. Cardiology transcription requires exceptional care because unintentional errors in transcription are costly and tricky to rectify. 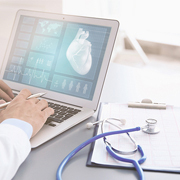 If fast and error-free cardiology medical transcription is on top of your requirements, outsourcing cardiology transcription is one way to get better value. Outsource2india is a company which specializes in providing end-to-end cardiology medical transcription services to clients who do not want to stretch their budget. 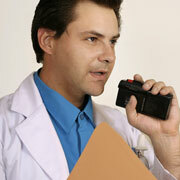 From physical examination transcription, operative report transcription, consultation transcription, etc. we got you covered, but there is more we can do. With proficiency in all terminologies, we can transcribe within shortest turnaround time. Which Cardiology Transcription Services Does O2I Offer? Why Choose O2I's Cardiology Transcription Services? Our team of expert transcriptionists provided a leading group of radiologists in Australia with complete transcription automation services. they wanted us to automate the processing of STAT reports which were done manually. Outsource2india is an ISO certified company which is synonymous with top quality and dependable medical transcription services. With over 20 years of experience in one of the most lucrative industries, we have nurtured excellent relationships and helped our clients flourish their business as well. Our cost-effective services are a notch above the rest because we specialize in handling cardiology transcription which comes with solid assurances to improve your savings in a big way. Our team's combined experience in transcription spans a few decades which would help to complete the project in no time. Tell us about your needs and include as many details as possible by reaching us. We will provide a free customized quote within 24 hours.